Lt Gen Man Mohan Singh Rai, took over as GOC Desert Corps on 09 August 2012. Lt Gen Rai succeeds Lt Gen Philip Campose, who has proceeded on posting to Army Headquarters. General Rai is an alumni of NDA Khadakvasla, who was commissioned into 114 Armoured Engineer Regiment of Corps of Engineers in 1976. The General Officer has an illustrious academic and professional career, having passed out third in order of merit from Indian Military Academy. He has attended all the requisite higher military courses at premier Indian Military Institutions and as an Engineers officer got inducted into General Cadre. 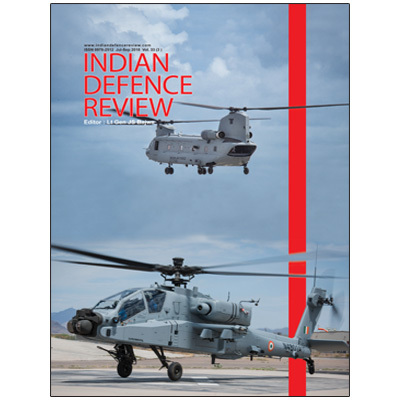 He possesses rich operational and command experience having commanded an Armoured Engineer Regiment in plains, and a Mountain Brigade in North East. 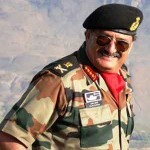 He commanded Rastriya Rifles Force, as GOC, in the insurgency hit region of Jammu and Kashmir. During his illustrious military career of over three decades in the Army. 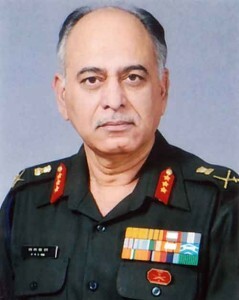 He has held various prestigious staff appointments like Directing Staff at Defence Service Staff College, Colonel General Staff Operations of a Corps in high altitude, Chief Engineer of a Corps in Desert sector, Brigadier General Staff at Army Training Command and Deputy Director General at Military Operations Directorate at Army Headquarters. Before being nominated as GOC Konark Corps, he was Additional Military Secretary in Military Secretary branch at Army Headquarters. For his devotion to duty and distinguished contribution to service, the General has been awarded Vishisht Sewa Medal (VSM) as Brigadier and Ati Vishisht Sewa Medal (AVSM) as GOC of Rashtriya Rifles Force in Jammu and Kashmir.